Many people buy life insurance simply to cover their burial and funeral expenses. Did you know there are a variety of burial insurance policies available that are quite different from each other? Before you buy one of these funeral insurance policies, our partners at Trusted Choice encourage you to make sure you’re getting what you really need. In 2010, there were 19,902 funeral homes in the United States. In 2008, the cremation rate was 36.02 percent. 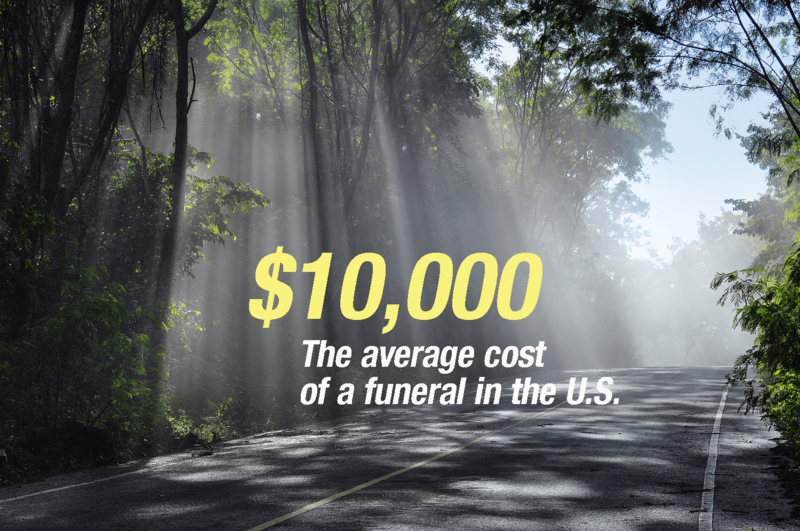 Funeral expense insurance is an insurance policy that pays the costs associated with your funeral. There are several different forms of these policies available to you to assist you with planning for your end of life costs. Funeral expense insurance can be used to pay for the cost of the funeral alone, or it can cover additional final expenses such as outstanding medical bills, legal costs, or any other debts that you owe, such as credit card bills. Preneed Funeral Insurance: This is directly or indirectly linked to a funeral service provider. It has installment payment plans which can be either 1, 3 5, 7, or 10 years and remains in effect for your entire life after the premiums are paid. This type of policy can be either a term insurance policy or a permanent policy. Final Expense Insurance: This type of policy is not linked to a funeral service provider and tends to be cheaper than preneed funeral insurance. It can consist of either a term or a permanent life insurance policy. Burial Insurance: This type of policy is usually a term life insurance policy with lower death benefits such as $5,000 or $10,000 dollars. The death benefits are paid to a named beneficiary who can use the death benefits in any manner. Term life insurance: This is a type of insurance policy that covers you for a specific period of time such as a 5, 10, 15, 20, 25 or 30 year term. These policies cover death benefits only. Permanent insurance: This can be purchased as either a whole life policy or a universal life policy, and is more expensive than a term policy. It covers you for your entire life and also comes with a cash value accumulation feature. Additionally, smaller death benefit policies can be purchased in a “guaranteed” life insurance policy. These policies do not require a medical exam or a medical questionnaire for coverage. They are more expensive than policies that do require a medical exam, but are ideal for those who have a life threatening or terminal illness and can’t find insurance coverage from a standard insurance carrier.